In the same press conference as the recently revealed Ivy Bridge lineup of Satellite notebooks, Toshiba announced its plans to expand its tablet lineup to not just one or two tablets extra, but three tablets of varying sizes for a release later this year. Firstly, the Thrive moniker will be essentially dropped in favor of the Excite branding. 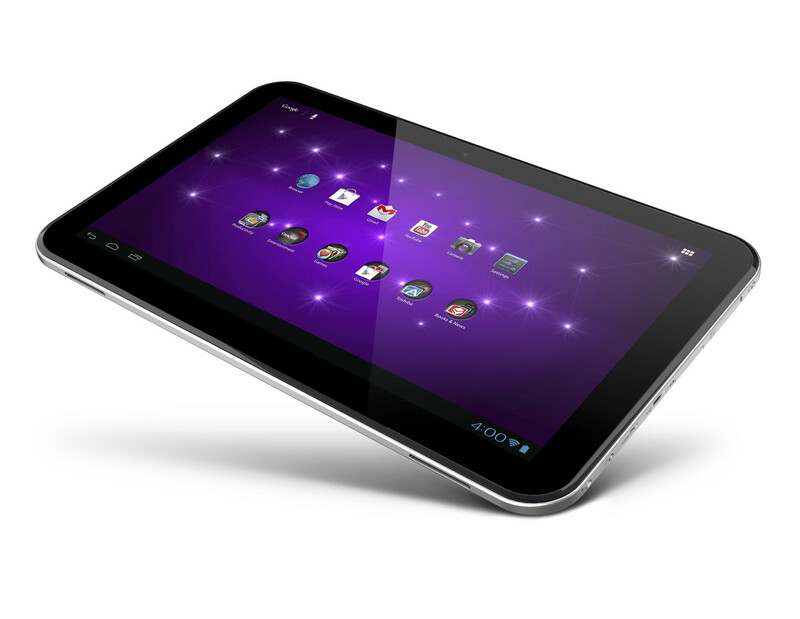 All three tablets will be a part of the Excite family that was first introduced just last month with the Excite 10 LE. Additionally, every model will include Tegra 3 APUs, 1GB RAM, Gorilla Glass, stock ICS for the pure Android experience, front-and-rear cameras, stereo speakers and an aluminum shell for added sturdiness. 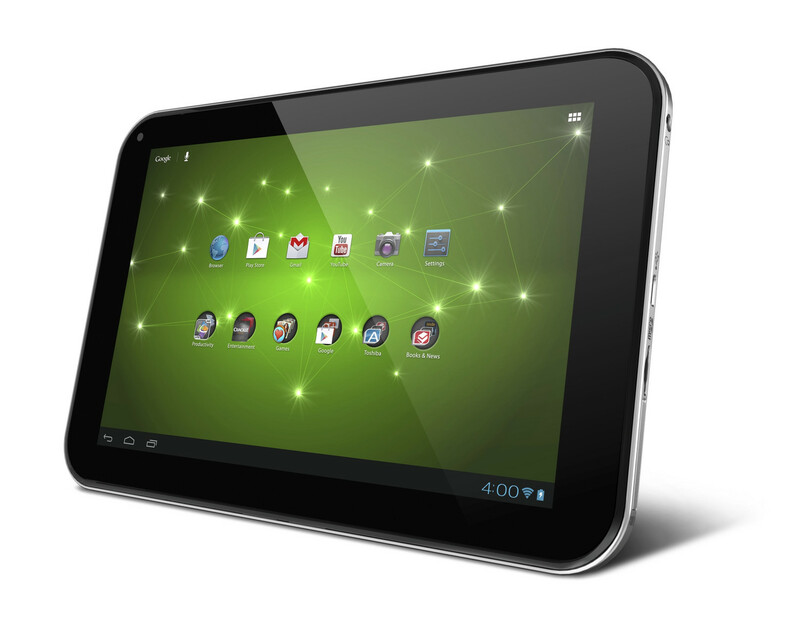 The smallest of the upcoming tablets is the Excite 7.7, a 7.7-inch just 0.3-inches thick and only 13.4 ounces light. The biggest surprise, however, will be its display. Unlike the usual TFT or IPS displays commonly found on other tablets, the Excite 7.7 will use a 1280x800 resolution AMOLED screen. Those familiar with the Samsung Galaxy S series of smartphones will instantly recognize the true blacks, vivid colors and ultra-high contrasts that AMOLED technology provides. 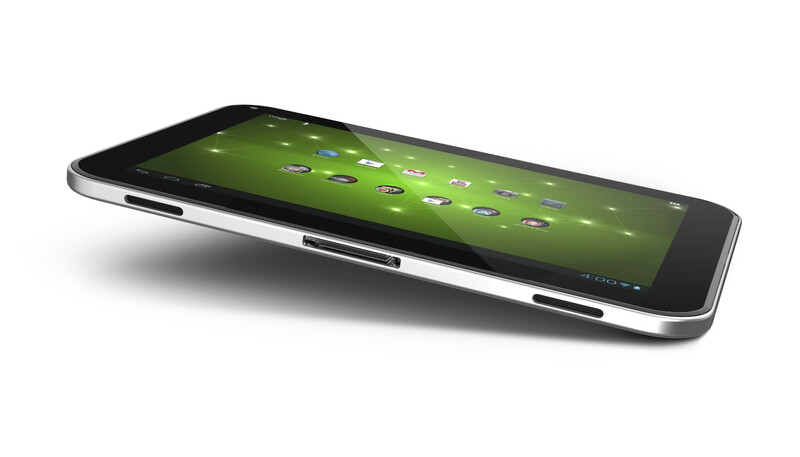 The Excite 7.7 is likely based off of the AT470 prototype AMOLED tablet seen late last month. It will be quite interesting to see how the display can hold up under direct sunlight and how it compares subjectively to IPS displays. One step above the Excite 7.7 is the Excite 10, a 10.1-inch tablet just 0.35-inches thick and 1.32 pounds and with 10-finger multi-touch support (in comparison, the new iPad is 0.37-inches thick and 1.44 pounds). The 1280x800 resolution display will definitely not be AMOLED as the technology will be either TN or IPS. Otherwise, other features appear run-of-the-mill, including MicroUSB, microHDMI and a full-size SD card reader. Battery life is expected to run for up to 10 hours. In terms of size, the third tablet is the most intriguing of the three. The Excite 13 offers a 13.3-inch 1600x900 resolution display, four internal speakers and all the connectivity features found on the Excite 10. Of course, it will be a bit thicker and heavier at 0.4-inches and 2.2 pounds, but users can opt for an optional stand that may be more appropriate for desk use. 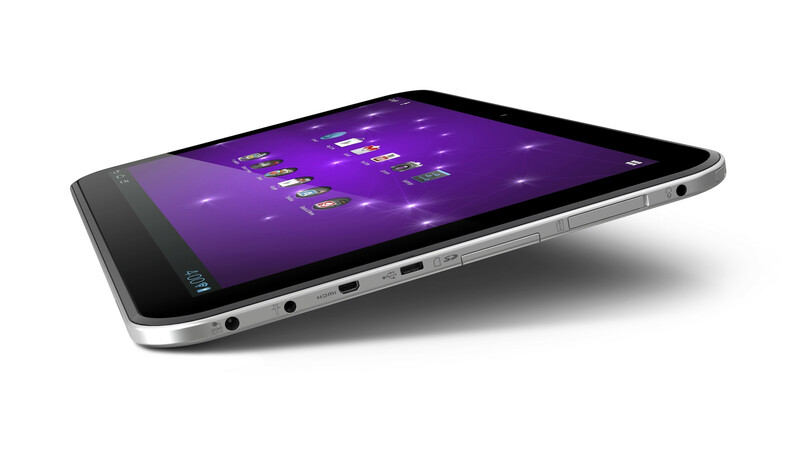 Toshiba likens the Excite 13 to a 13-inch notebook due to the high resolution display and portability. There’s a good chance that the Excite 13 is a more refined 13.3-inch AT330 spotted earlier this year at CES and the Toshiba World conference. Total runtime is even expected to be longer than the Excite 10 at a listed maximum of 13 hours. While certain models offer SIM slots, Toshiba says they will not be officially supported in the U.S. release. Thankfully, users will not have to wait too long before the tablets become available. 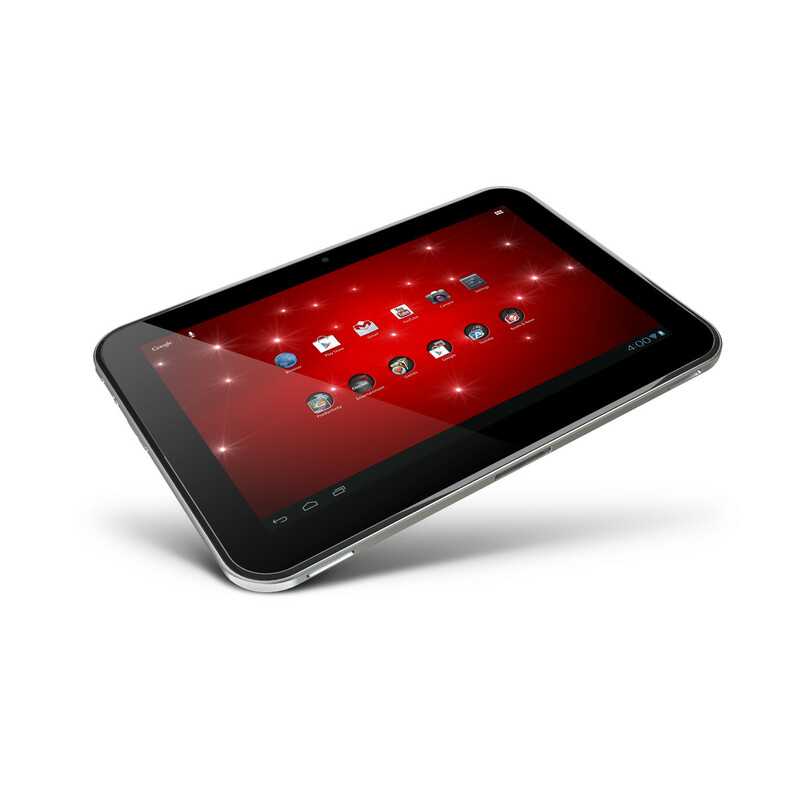 Toshiba is expecting to launch the Excite 10 this May with the other two to follow in June. 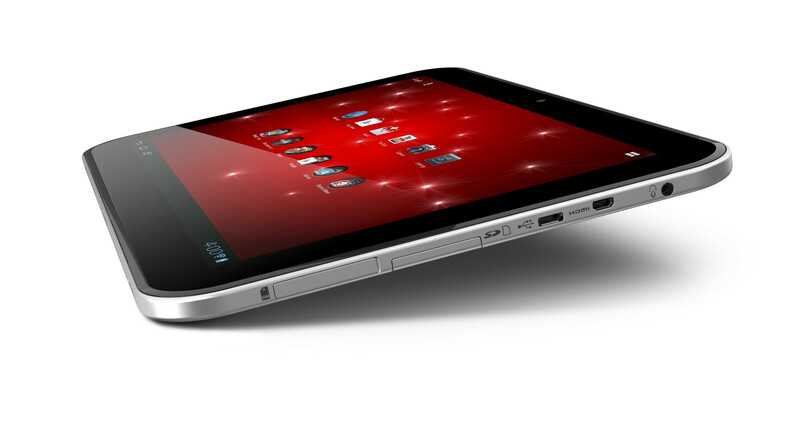 The Excite 7.7, Excite 10 and Excite 13 will retail for $499, $449 and $649 for the 16GB models, respectively. As always, expect a full in-depth review at Notebookcheck to follow as launch times near. and scratch-resistant Corning ® Gorilla ® Glass displays, making them not only stylish, but also durable. everyday apps – extending battery life ii . 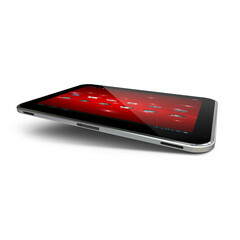 tablet is extremely portable and delivers up to 10 hours of battery life iv and seven days of stand-by. 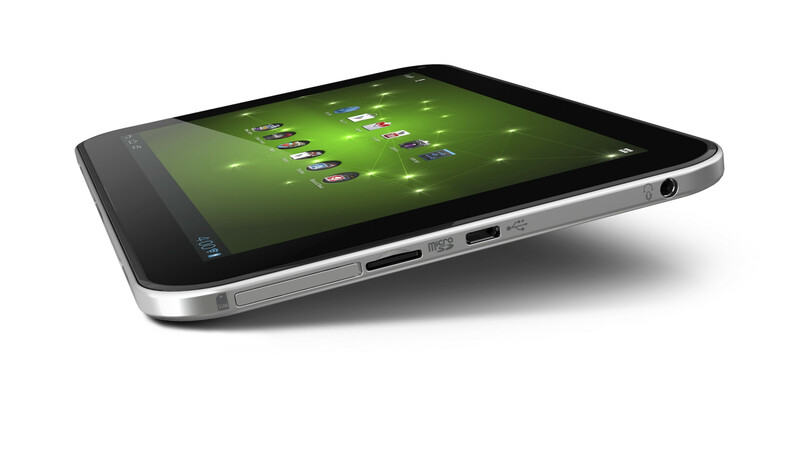 selection of built-in ports, including Micro USB, Micro HDMI ® and a full-size SD card slot. pounds vii , so it is still easy to carry. countertop or coffee table to share videos with friends and family. HDMI® ports and a full-size SD card slot for syncing and sharing content. into a bag or jacket. tablet includes a Micro USB port and a Micro SD card slot for syncing and sharing content. Manager, as well as Netflix™ and Zinio™, the ultimate app for magazine lovers and more. the 16GB model, $529.99 MSRP for the 32GB model and $649.99 MSRP for the 64GB model. the 16GB model and $579.99 MSRP for the 32GB model. the 32GB model and $749.99 MSRP for the 64GB model. twitter.com/ToshibaUSA and on YouTube at youtube.com/ToshibaUS. prices, specifications, availability, content of services, and contact information is subject to change without notice. All rights reserved.